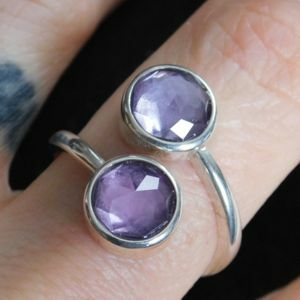 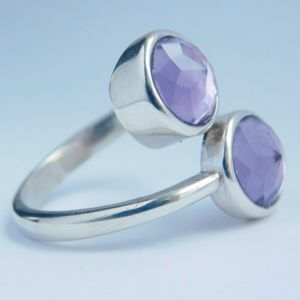 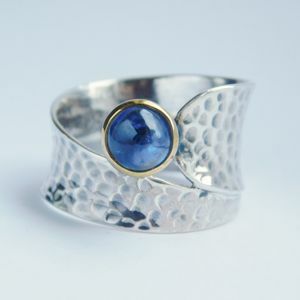 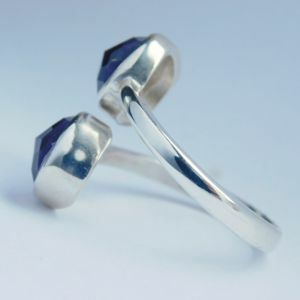 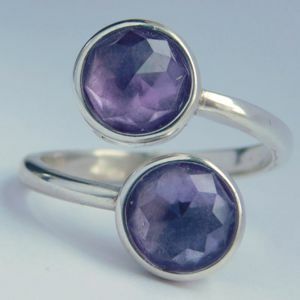 Inspired by the beautiful purple February birthstone I created this adjustable ring. 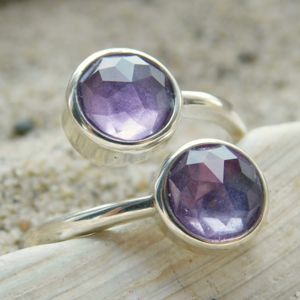 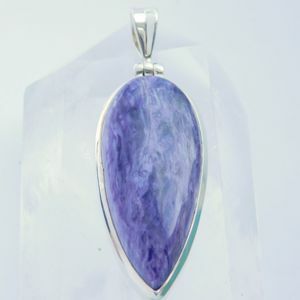 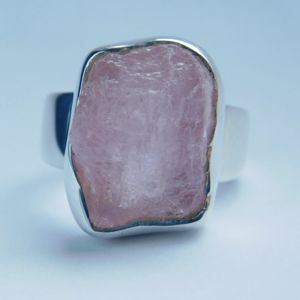 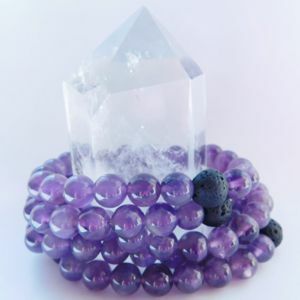 The Sterling Silver ring features 2 pieces of Brazilian Amethyst. 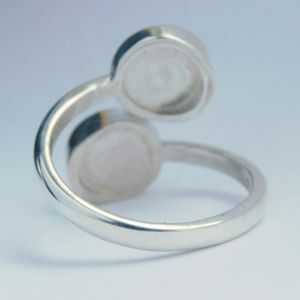 The ring size is 8 but is easily adjustable for everybody.